Capture a special moment in your life and wear it forever, or give it as a gift to someone who shared it with you. 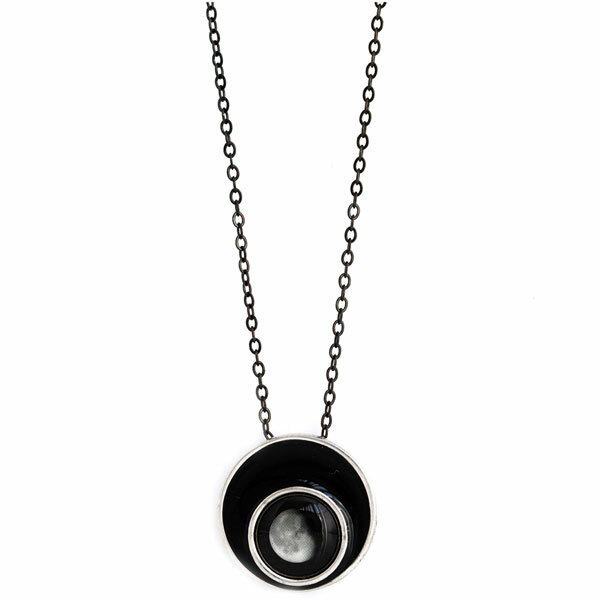 Pewter pendant shows the moon's face as it looked at that moment in time. By day, it gathers light; by night, it softly glows. ¾" pendant hangs on an 18" gunmetal chain. Made in Canada.